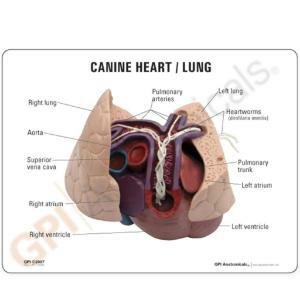 Safely examine an average canine heart and lungs infested with heart worms using this model. 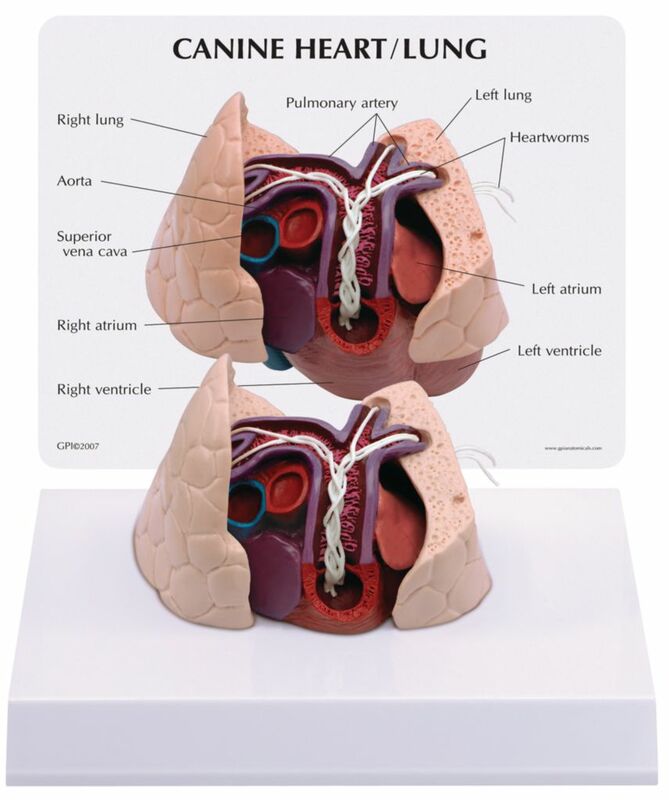 A cut away view demonstrates structures in the heart, including right ventricle, pulmonary truck, pulmonary arteries, and lungs. 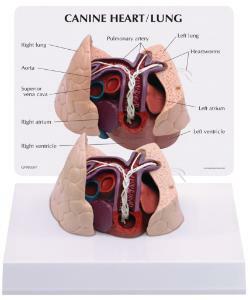 These areas are common organs where adult-stage heart worms are normally found.